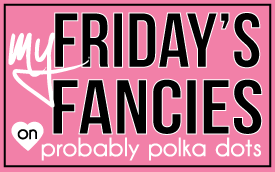 I had so much fun developing an outfit for Friday's Fancies this week. The theme was to create a look that reflects my personal style, and I think I settled upon a few great pieces that definitely represent me. These are the three words I came up with to summarize my style, and I hope you agree that they fit me to a T! What would your three words be? Be sure to tune in Monday for a very BIG announcement and a first here on Probably Polka Dots! Follow along on Instagram, Twitter, & GFC to make sure you don't miss out. Trust me, you want in on this one! I LOVE this look - the earrings, the coat, that bag - everything! Those earrings are so fab! LOVE. THAT. COAT! That is very "me" as well! I LOVE that bag and those earrings! This is a gorgeous coat! And we love that you featured the new Kate Spade bags. Happy Friday! LOVE the outfit choices and your blog! So glad I happened to come across it and I can't wait to follow along! ps. 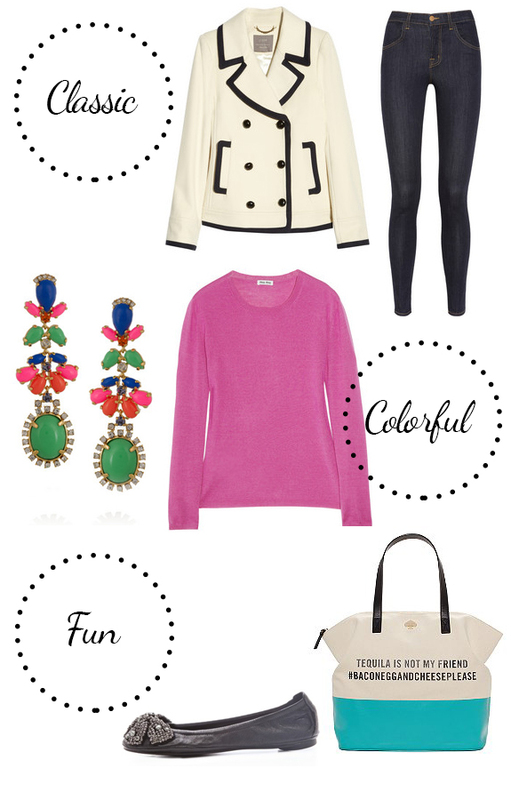 I NEED those J Crew earrings! I absolutely love this look. Those earrings are amazing as is the coat and tote! Love! I love the colorful earrings! I'm your newest follower :) I would love for you to follow my blog too!